So, it happened again! Tourist stay in Kheerganga has been banned, which means all those camps and makeshift huts will have to be dismantled and removed from the Kheerganga Top. All the details are not clear yet but it seems like it is a High Court order, apparently to preserve the area from destructive, and thoughtless tourism growth and personally it makes me really glad. Kheerganga is the second major location in the Parvati Valley where tourist stay has been banned (Along with some other locations in Himachal such as Rohtang and Kasauli). Last year, I happened to be in the valley when the news of Malana Ban broke. I paid a visit to verify myself and wrote a post about Malana Tourist Ban too. Another such major development within a year in the same valley indicates the levels of toxic tourism growth in the Kasol circuit and a resounding slap on the smug faces of certain types of tour operators and tourists including those selfie-obsessed, plastic throwing, punjabi hiphop loving, pseudo-Bob Marley fans. So, can the tourists still visit Kheerganga? What exactly has been banned in Kheerganga? Was this ban necessary? What will be the repercussions? The good news is, tourists can still visit Kheerganga. But the comforts of readymade beds and food won’t be waiting for you up there. If you wan’t to stay up there, you will need permission and your own provisions. However, the sceneario is not very clear regarding this. Better you ask the locals before starting the trek. Otherwise, you can just set up base in one o fthe lower villages and start early from your base below (such as Kalga), do the trek, enjoy the views up there, and come back before it is too dark. As far as I know, the makeshift tents and huts providing stay for tourists are being removed. Actually most of them were unauthorized anyway. The land is actually owned by the Forest department. I have seen conflicting reports about tourists pitching their own tent. Initially I heard that even that was not allowed but now it seems that they will be allowed but they will have to clear their mess. There will be no accomodation options or restaurants atop Kheerganga at the end of the trek. You can most probably pitch a tent but you will need permission from the Forest Department (Will update about this when I find more detailed info). More importantly, unlike the good old days, you can’t litter the place with gay abandon. You will have to collect and bring back your own trash once you are done. As usual, I have to reiterate that I am not a fan of censorship or moral policing but I think this was coming and is richly deserved. When when I first did the trek a few years ago, I intensely disliked it. It was one of the most disappointing treks of my life and one of the rare occassions when I had to write a negative post about a place. (If you can’t see the ugliness in the photographs that is only because I did not feel like clicking the pictures of the garbage dumps). I even received a couple of highly critical comments, most probably by the same type of people who led to this ban, who accused me of missing out on the “beauty of the nature” and “call of the mountain” and focussing only on the negatives. In the last 4-5 years, tourism has boomed in the Parvati region for various reasons. It is highly popular among students and young professionals from Delhi-NCR because it is easy to reach. So much so that during the peak of summer the trek looked like an endless ramp-walk. But the problem was that the concept of beauty for many of them was limited to their own faces and they did not think twice before throwing a plastic bottle into the hilly streams. I know some NGOs worked hard to clean the area but how long can anyone keep cleaning other people’s mess? Some opine that this will be a “blow to tourism” in the Parvati Valley but I think it is utter bullcrap. Tourism in these areas will always remain as people will always need some place to escape from the cities. This move will just help preserve these places and curb the insanity to some extent. This will temporarily affect the business of the people who had settlements up there. But I am sure they will find out alternatives pretty soon because tourists will be coming anyway. Maybe newer villages and routes will be developed too. But this temporary loss will hopefully make them behave in a more responsible manner. So, now the question is, where to half it there is no place to stay atop Kheerganga? Not everybody is comfortable camping out in the wild without any facilities. In such a case, the best option is to turn it into a day trek by staying in one of the lower villages such as Kalga and Tosh, which are already popular among tourists and full of homestays and cafes. Actually Kalga is the one which is located directly on the route and the best option while the rest of the villages are nerby and you will to walk for half an hour before reaching the trekking point. Kalga Village: The Best Option for stay en route to Kheergangahing was almost two times more than they do in nearby Kalga. It is a bit better if you cross the village and hike upwards but if you are doing Kheerganga, you will have to come back to Barsheni. Tosh feels better when you leave the village behind and hike upwards. So, this brings me to Kalga, which is one of my personal favorites. I have already said enough things about it on various occassions. Also, there are nearby villages like Pulga and Tulga that can offer additional options. 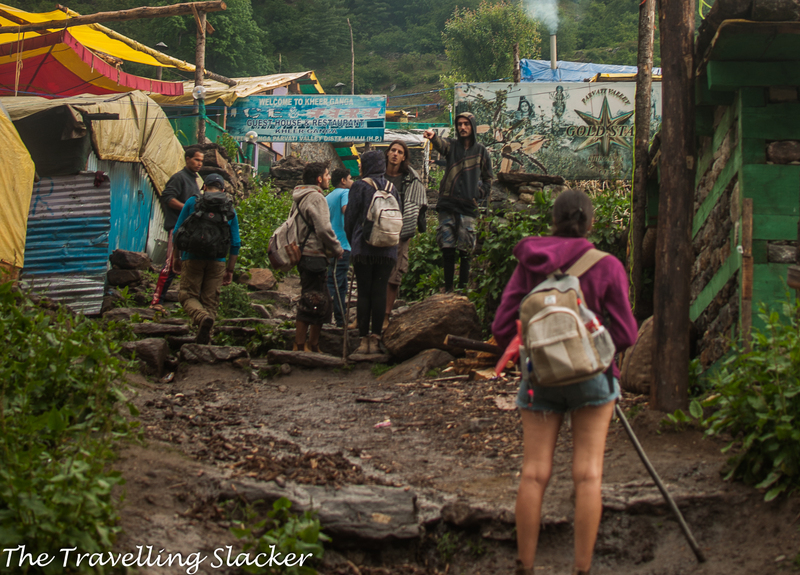 Last time, I also saw people camping near the waterfall camp, which is the midway point of the Kheerganga Trek. Not sure if this has been banned too. So, I think, Kalga is the best option and will be the biggest beneficiary of this development. However, this also makes me wodner if it will become too popular for its own good and the usual problems will start occuring here too. I hope the locals realize it and take necessary precautions. 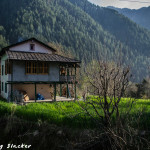 Pulga is another stay option for Kheerganga, popular among western tourists. Commercialization has always been the bane of humanity. Anything that starts out small with good, honest intentions is commercialized once it becomes popular and that’s when everything goes downhill. This is one of the reasons why I never visit any tourist destinations and have always preferred trekking to avoid the mom and pop type crowd who don’t care about nature one bit and will litter everywhere. The young generation of these mom and pop type tourists are even more hypocritical. They don’t like the crowd either and prefer nature but don’t know what it takes to actually preserve nature’s pristine beauty. They keep littering and expect someone else to clean up their mess. They expect city like comfort and amenities at a remote location and this ultimately starts the destruction of the place. The sad thing about trekking routes is that any location which is easily accessible by 3-4 hours of trekking will inevitably attract these rowdy millennials. So if someone really loves nature and wants to camp out for days at a remote location, he has no choice but to go for those 4-5 day long trekking routes. Only serious trekkers venture into these routes and non-serious trekkers rarely make it past the first day. These people also care a great deal about nature, so you are more likely to get along with them and prefer their company. So, you didn’t feel like writing about Tosh as you didn’t really like it, hunn? Dude, I am from Dharamshala , HP and I still feel that Tosh is beautiful. I’d take your BS about Tosh only if you belong to some place like Munnar, Kaza, Spiti, or Mawlynnong. #selfproclaimedfoundersandceos Guess you were too high when you were there. Good luck. Hey bro… Why do I feel that you are running a shady opium den in Tosh and that is what makes you so worked up? If that makes you feel any better, I have already dissuaded many people from visiting your little piece of heaven. Right now the camp is running. You can definitely stay there over night.